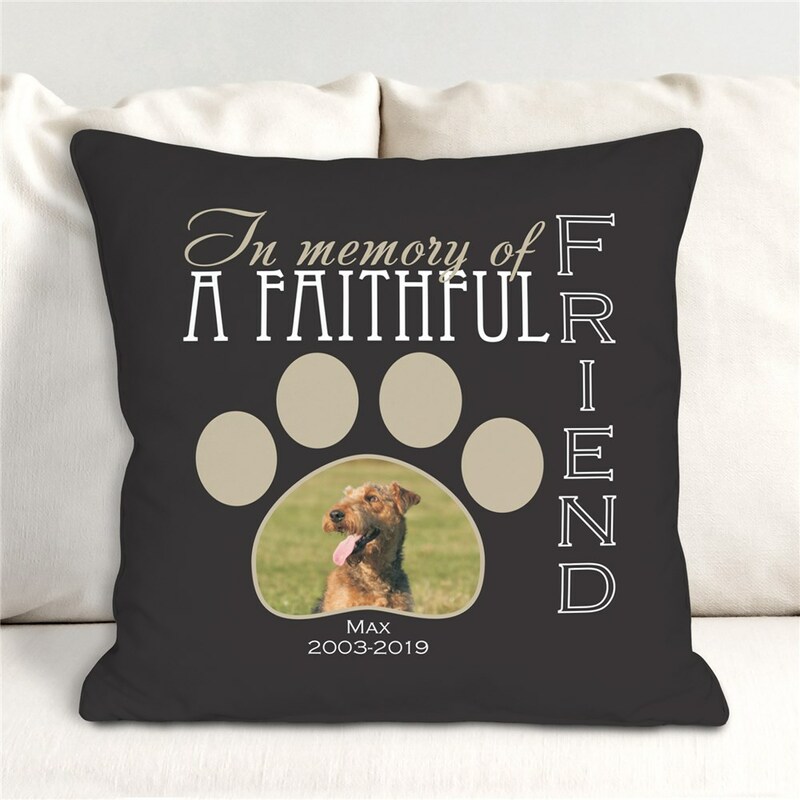 Losing a pet is always difficult and painful, but when you have this personalized throw pillow by your side, the memory of your favorite dog will never leave you. The photo adds a special touch that will truly commemorate one of your favorite family members after they have passed on. Free personalization of any photo and two line custom message is included. For production purposes, please enter a photo description that best describes your photo. Everyone loved it and wanted to know where I ordered it from. Additional Details Shop other dog memorial gifts, and pet memorial gifts, to honor the life of your furry friend at GiftsForYouNow.